Have you ever tried to convey the feeling of walking through your favorite park? Or have you wanted to create a virtual tour of your business to attract customers? Well, starting today, it’s now possible for you to build your own Street View experiences to do just that. Using a new feature in our Views community, you can easily connect your photo spheres to create 360º virtual tours of the places you love, then share them with the world on Google Maps. To get started, just create photo spheres using your Android phone or a DSLR and then share them on Views. Next, select the photo spheres from your profile and use our new tool to connect them together (as seen in the example above). 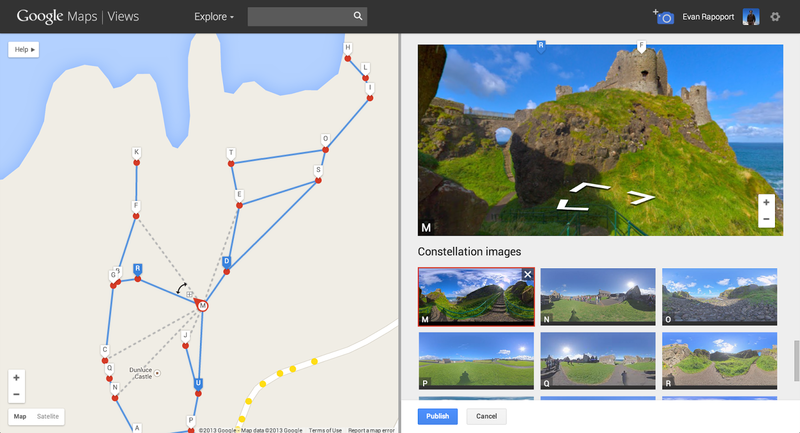 Once your photo spheres are connected and published, people can navigate between them on Google Maps, just like they can in Street View. Please visit the help center to learn more about connecting photo spheres. Above this Street View experience from photo spheres have been created with both Android phone (Nexus 4) and DSLR camera. 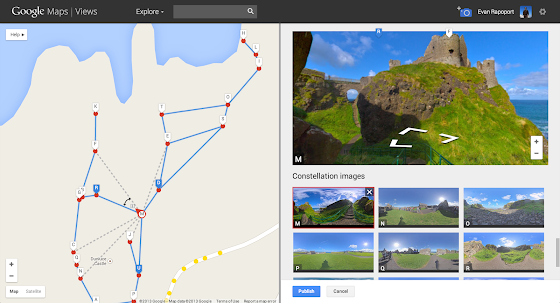 Now everyone can virtually explore this beautiful location visited on user’s last vacation. Google are excited to see the different types of Street View experiences that everyone will contribute. For example, this feature can now enable environmental non-profits to document and promote the beautiful places they strive to protect. It also opens up a new tool for photographers to showcase diversity in a specific location — by times of day, weather conditions or cultural events — in a way that Street View currently doesn’t cover. And, just like with Street View, you can embed Google’s interactive viewer on your own website or build applications with it using the Google Maps API. You can learn more about solutions for developers. It is being hoped that this new feature will enable people to share and witness the beauty and breadth of our planet through Google Maps. Whether you’re photographing exotic islands or your favorite neighborhood hangout, mountain peaks or city streets, historic castles or your own business, we’re thrilled to see the places you love coming to life on Google Maps.